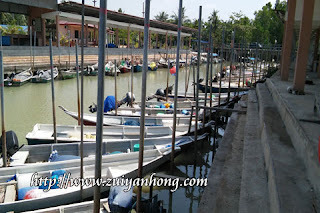 My wife and I went to Muar recently. 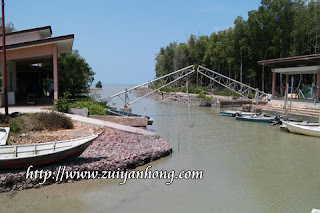 On the way back to Malacca, we drop by Merlimau Fisherman Jetty. The construction cost of Merlimau Fisherman Jetty is around 5.5 million. Were the construction materials overpaid or other interesting reasons? 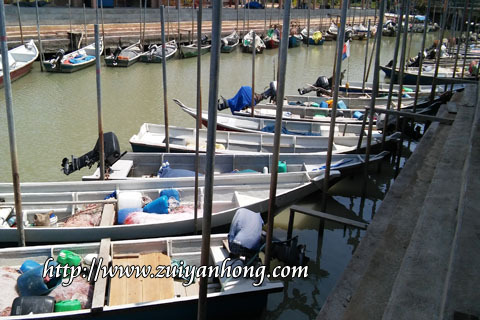 Most of the fishermen there are Malay and Chinese fishermen are not many. That day happened to be Friday. Muslim fishermen had to pray in the mosque so they didn't go fishing. There were many cats at Merlimau Fisherman Jetty. 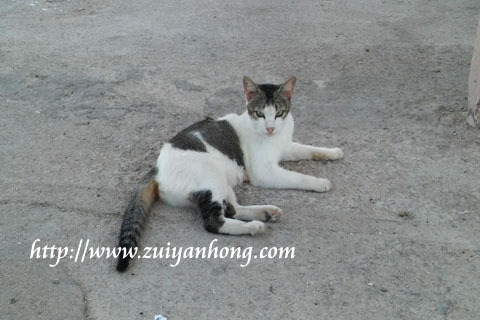 This cat was waiting for the return of the fishermen to give it fresh fish. The weather was really hot. 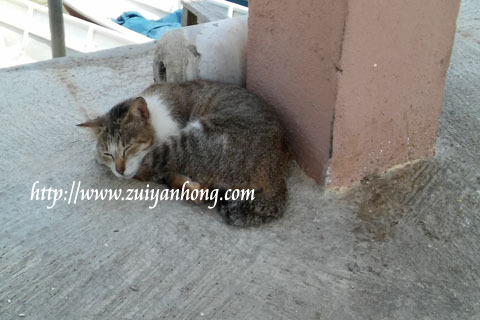 This cat was so sleepy and sleep soundly near the pole of the jetty. 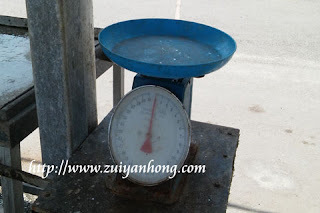 This old scale must be used by the fishermen to weigh the fish. In case you are living around Merlimau, you can go to Merlimau Fisherman Jetty to buy some fresh fishes with affordable price.